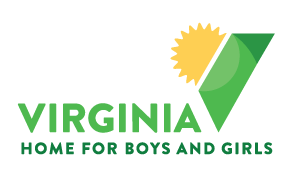 Virginia Home for Boys and Girls (VHBG) is a nonprofit 501c(3) charity (EIN 54-0506330) that serves the needs of children in crisis. We are a registered charity with the Better Business Bureau and maintain an updated portrait on GiveRichmond/GuideStar. Nearly 50% of VHBG’s budget comes from the generosity of private donors like you. With your support, we can ensure Virginia’s children and families have the greatest opportunity for success. Your donation of money and/or your time, is critical to maintaining a high level of quality for the programs that serve the children in our care. With several ways to give, supporting VHBG is easy. VHBG is an approved Neighborhood Assistance Program (NAP) organization. The purpose of the NAP is to encourage businesses, trusts and individuals to make donations to approved 501(c) (3) organizations for the benefit of low-income persons. In return for their contributions, businesses, trusts, and individuals may receive tax credits equal to 65 percent of the donation that may be applied against their state income tax liability. For more information, contact Claiborne Mason at 804-270-6566 ext. 124 or cmason@vhbg.org. Please contact VHBG’s President, Claiborne Mason, at (804) 270-6566 ext. 124 or cmason@vhbg.org to ensure that your wishes are understood.